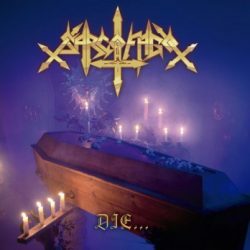 Sarcofago CD + Vinyl Giveaway! Dead Rhetoric.com and Greyhaze Records are giving away a CD and Zbignew Bielak slipcase yellow vinyl copy of Sarcofago’s legendary Die…Hard! album to one (1) lucky winner. Die…Hard is the only official, comprehensive collection of Sarcofago demos. It includes material that had never before been made available, such as the band’s very first demo recording, as well as material recorded for Rotting and The Laws of Scourge. Sarcofago’s influence and legacy in the realm of extreme metal cannot be overstated. Classics like INRI, Rotting, and The Laws of Scourge have paved the way for a large number of bands spanning various genres such as black and death metal. The band’s demos have been shamelessly bootlegged for decades and demand for an official demos collection has been constant. To get your hands on a copy, enter before Friday, October 28. 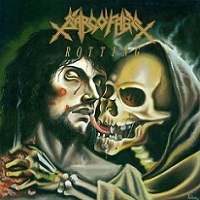 Enter “Sarcofago” in the answer field below.